I realise it has almost literally been forever, but I have a few things to post about and the first one is some delicious, healthy muffins! As usual, this recipe started with the dry ingredients: whole wheat flour, white sugar, brown sugar and some oats. Next I washed two lovely Ida Red apples. And skinned and chopped them up. The wet ingredients: water, oil, eggs and vanilla. I threw the wet ingredients in with the dry ingredients, and then added the apples and some cinnamon... because I forgot to add it with the dry ingredients. I filled a greased muffin tin, and put it in the oven. They rose quite nicely and smelled amaaaazing while baking. This is a recipe I sort of made up based on my chocolate chip muffin recipe, but it turned out so well. These are great for breakfast. It's like eating apple cinnamon oatmeal. The only thing I'd like is for them to have less sugar, so the next time I make them I will try them with less. The healthier, the better! 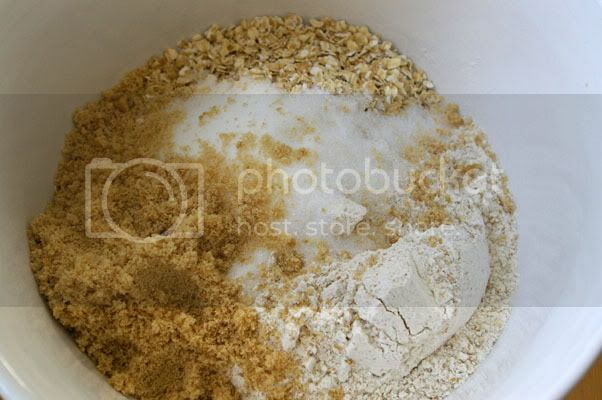 In a large bowl, stir together flour, oats, sugars, cinnamon, baking powder, and salt. 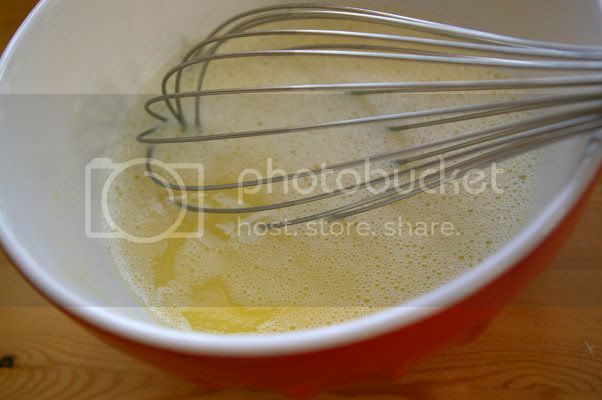 In another bowl, stir together milk/water, eggs, oil, and vanilla until blended. Make a well in centre of dry ingredients and add wet ingredients, stirring just to combine. Stir in apple. 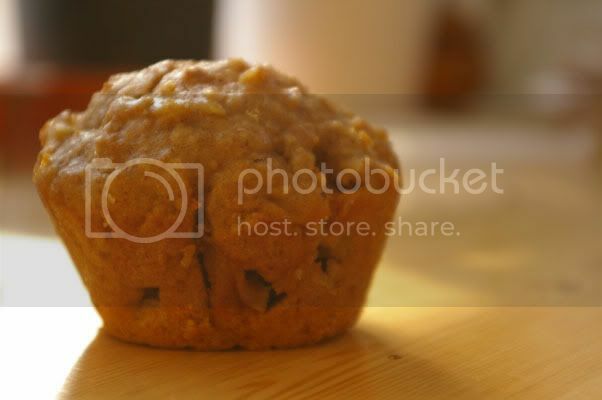 Spoon batter into prepared muffin cups and bake for 15-20 minutes or until a muffins pass the toothpick test. 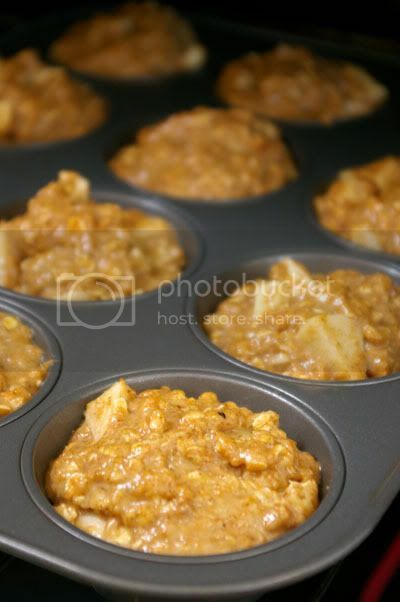 Allow muffins to cool on a wire rack for five minutes before removing from pan to continue cooling. Serve warm or completely cooled. Muffins can be frozen. Yum! Looks delicious! What if you used apple juice instead of water? Then I bet you could reduce the sugar a little. I want to make them now! Okay, I have to tell you, I just made these (I am eating one as I type one-handed) and they are so yummy! Even though I made a mistake, they still turned out great. I decided to use a combination of orange juice and milk to give them more flavour and calcium. However, I accidentally put in 2/3 c. orange juice AND 1/3 c. milk! Oops! I just had to bake them a couple minutes longer though and they are really moist! Also, don't forget to put the cinnamon on your list of ingredients. ;) Thanks Cathlin!! Hi Cathlin thank you SO much for uploading this recipe! I followed your recipe almost exactly, apart from loosely measured salt and cinnamon, they taste and feel absolutely amazing!!!!! My flatmates and I are really enjoying the taste and the smell and the texture.......we can't stop grabbing the muffins. I suspect they'll be gone by tomorrow night!!!!! Nice. Note to self: make sure to have muffin cups in before starting. Mine took a bit less time, but my oven always does. 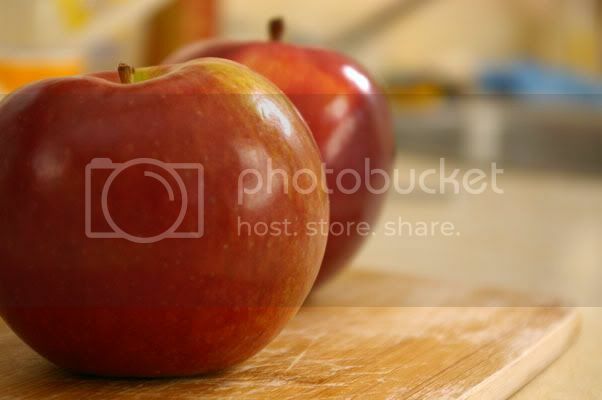 I've since found the taste and need for sugar varies depending on the type of apple (tydeman? this time). 2/3c sugar is MUCH less than some (I saw 3 cups sugar, four cups flour once, but didn't try the recipe). Just made these! They were crazy good :) used half a cup of brown sugar and it was perfect. thanks from Melbourne, Cathlin - smells delicious. Wow, these look so good! I will have to try them soon - thanks! Just found these thanks to pinterest. I just made them and LOVE them. I took some of the previous commenter's advice and used unsweetened apple sauce instead of oil and also used 1/2 cup of brown sugar instead of using any white sugar. Now if I can hold back and be happy with just eating one for today. Thanks so much and I am happy to have found your blog! I did the same thing as lynne and I don't like them at all. Not sweet enough without regular sugar and they need the oil too. Will try again with the original recipe. I made these this morning and they were so tasty! Very quick recipe and I love that it has a healthy twist. These are so great! I made them according to the recipe and I love them...so does my three year old! We loved these muffins. I used whole wheat pastry flour, 1 tsp cinnamon and 1/4 tsp nutmeg, oh and substituted non-fat buttermilk for the regular milk. They were absolutely delicious. Thank you. these sound great! I am going to try making them tomorrow, I think my kids would love them. I am going to sub splenda for the sugar. thanks for sharing! I used non-fat Greek yogurt (1/3 cup plus one tablespoon) instead of the oil and used about a tablespoon less white sugar and they are delicious!! Thanks so much! I am trying them with 1/2C Honey, instead of the sugars. Apple sauce, instead of the oil. And l added 1 banana, in place of 1 egg. Trying to make them healthier. Hope they are good. Oh my goodness, they have the best flavor. I love them and will be keeping this recipe around. Love the apples in them. I tried this recipe this morning and they came out nicely and had so much flavor! 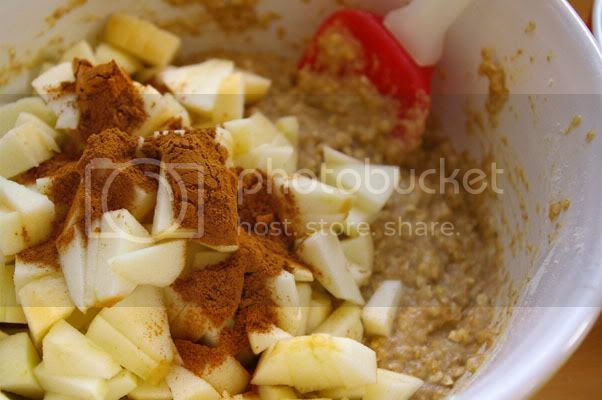 Just like apple cinnamon oatmeal! These sound and look yummy. I'm planning on making them for an easy grab-n-go breakfast for during the week. Can someone please tell me about how much cinnamon you've used? These inspired my inner baker to come out again! (Haven't seen her since Thanksgiving..) They were super easy and tasty. I used the brown sugar, and slightly less than recommenced artificial sweeter for the diabetic in my family. With the whole wheat, oatmeal, and apples I was excited to be able to make something he can have! So far they are a hit, and I'm looking forward to trying apple sauce and juice in the next batch. @Elizabeth Oberdacker - I thought I used too much cinnamon, because I didn't measure, and as I went to sprinkle it in, I had the wrong side of the container open (the 'spoon' side, not the sprinkle side) and did two fairly large "dashs" but.. they turned out great. So.. I'm afraid I can't say how much I used.. but it was a lot. And they turned out great. @Elizabeth Oberdacker I used 1.5 tsp but I am going to make it 3 next time. I love my oatmeal with strong cinnamon flavor. 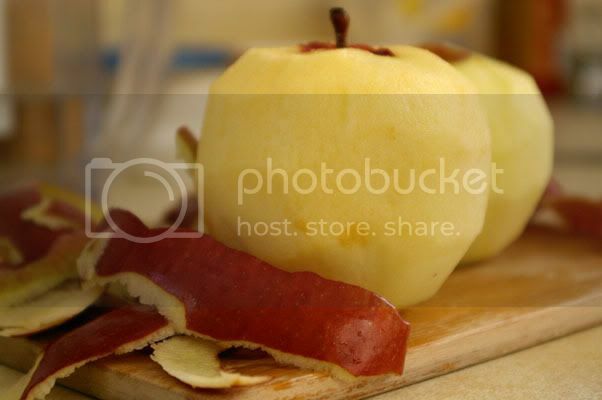 If you really love that appley flavor sub the oil for applesauce! Did anyone try using Irish Oats instead of regular quacker oats? I just tried making these....I forgot to add the vanilla (whoops!). I used part water & part milk (didn't have enough milk on hand. 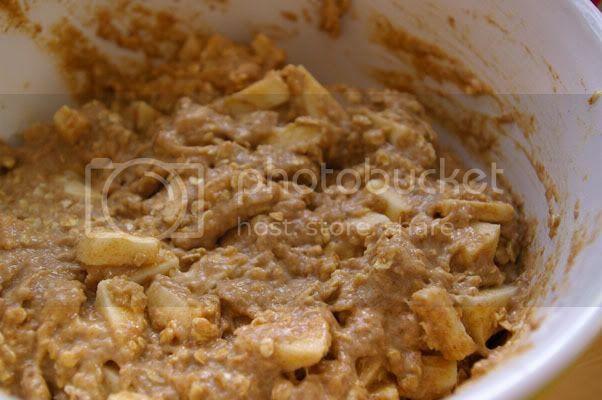 ), and added a lot more apple chunks than called for. As I didn't have whole wheat flour, I used regular white all purpose, and I just dumped an unknown amount of cinnamon in with the dry stuff....... I just finished one, and am happy with how they turned out. The brown sugar didn't mix very well so I have bursts of brown sugar in a few places (yum!). I think next time I will try adding some maple syrup, and remember the vanilla! As well, maybe sprinkling a little brown sugar on top while baking would be a nice sweet treat. I've got a suggestion to kill two birds with one stone; you can reduce the sugar to about 2 tbsp. AND ommit the oil by using a sweetened applesauce instead! OR you could get rid of the sugar and oil altogether and add 1 banana! Wow! These are delicious. :) I've become a bit of a muffin fiend recently and these may be my new favorites! My husband loves these too, which is saying a lot because he's normally not into whole wheat flour. These sound delicious! Do you happen to have the nutrition info for them? Calories or fiber content? Thanks! If your substituting apple sauce for the oil, how much apple sauce do you use? Delicious! I made a few minor substitutions as I always tend to do when baking: I used 1 cup of regular flour since I didn't have any whole wheat flour around, and then ground up 1/2c of regular oats in a blender which I added along with the 1/2c of quick oats to up the oat content. I think the substitution worked well but next time I will grind the oats a little finer. Also was running low on milk so I used unsweetened vanilla almond milk. To sweeten I used 1/2c of brown sugar, added 1 tbsp of baking stevia and also 2 tbsp of maple syrup and it was perfect! Has anyone tried these using almond flour instead of whole wheat flour and Stevia baking mix instead of white sugar? These muffins are amazing!! I followed the recipe exactly and baked them for 20 minutes...awesome! I am on my second one right now! These look fabulous! Can just imagine how tasty they are – soon I shall stop imagining and definitely give these a try. I used raw honey instead of sugar and peaches instead of apples, as I didn't have any apples. I also added a few nuts and poppy seeds. Turned out perfectly and delicious!!! This seemed to go together flawlessly. I used an expiring cinnamon apple oatmeal yogurt for part of the milk. I am a university student living in Southern Ontario. Right now I'm studying German language and literature as well as religious studies, and trying to decide what to do with my life after I graduate. I'm thinking about culinary arts or photography... or maybe both. This blog is here precisely because of those two interests. I love food, I love photography, and I love photographing food! I also love trying to new recipes or just making them up and most of all I love sharing food with friends and family. I'm vegetarian, and have been since I was born, so finding new, tasty dishes, at the same time as cooking for my omnivorous boyfriend is always interesting and fun. You can find all of my successes, failures and recipes (original or otherwise) right here! For more about this blog, click here.